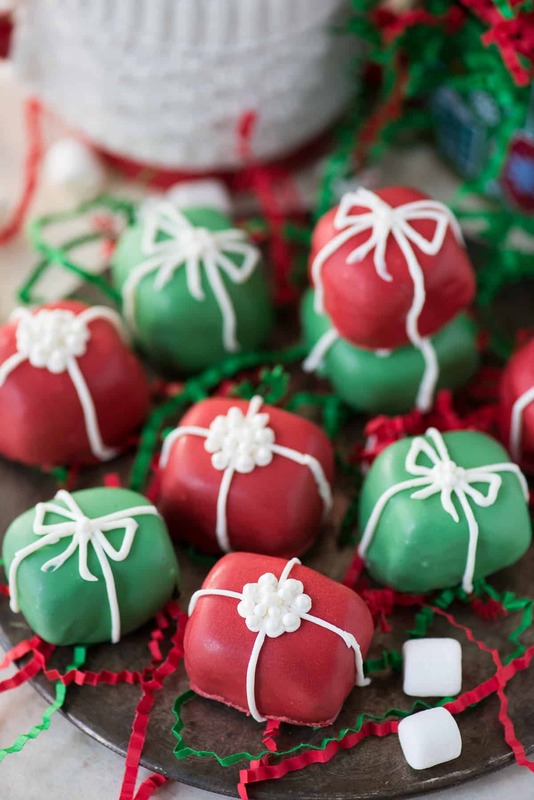 Your family will want to make these Christmas present oreo balls each season! 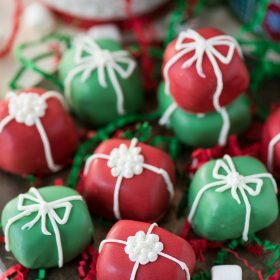 A little spin on classic oreo balls transforms these into one of the best no bake holiday treats! I bet you can think of a couple people on your Christmas list who would like these! 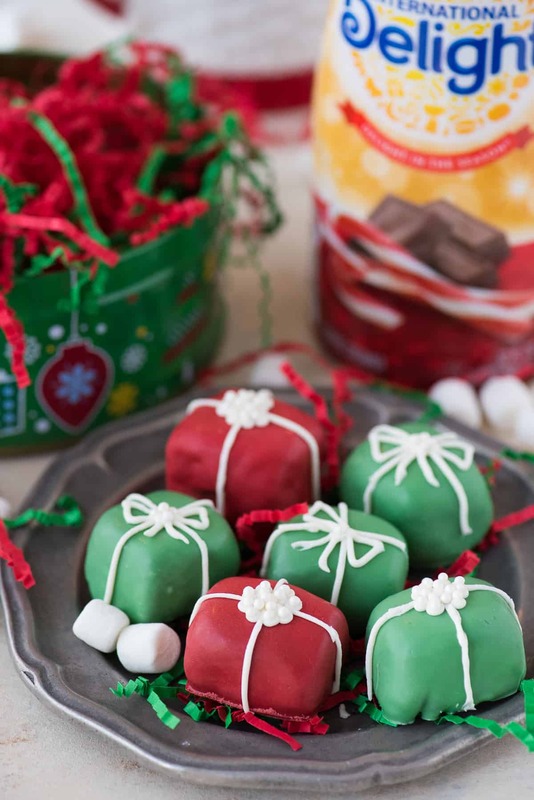 If you’re already an oreo ball pro, these will be easy for you to make! 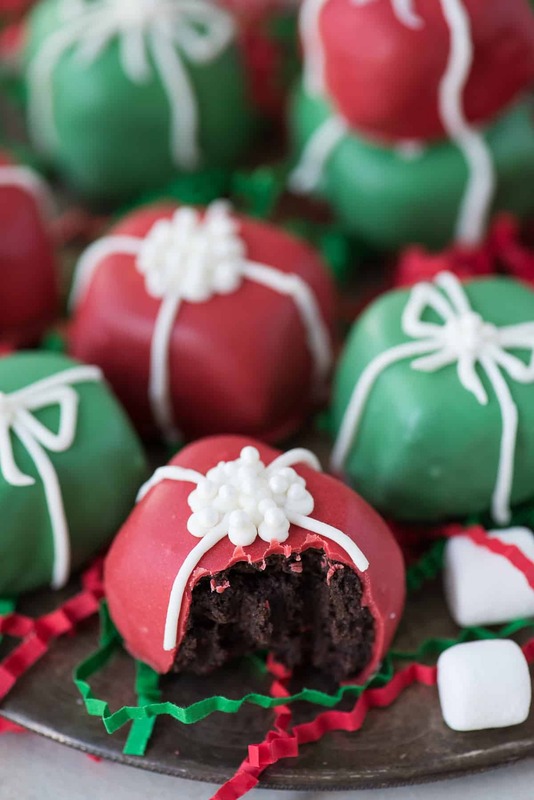 The oreo ball base is made with 1 package of oreo crumbs (the cookie & the filling), 1 package of cream cheese, and 2 tablespoons of International Delight’s Peppermint Mocha creamer! Instead of forming the oreo balls into balls, you’ll form them into squares. 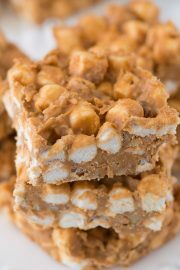 Your squares do not have to be perfect. I thought about using a mold to form them into squares, but I have these tools called hands and they do a pretty awesome job. 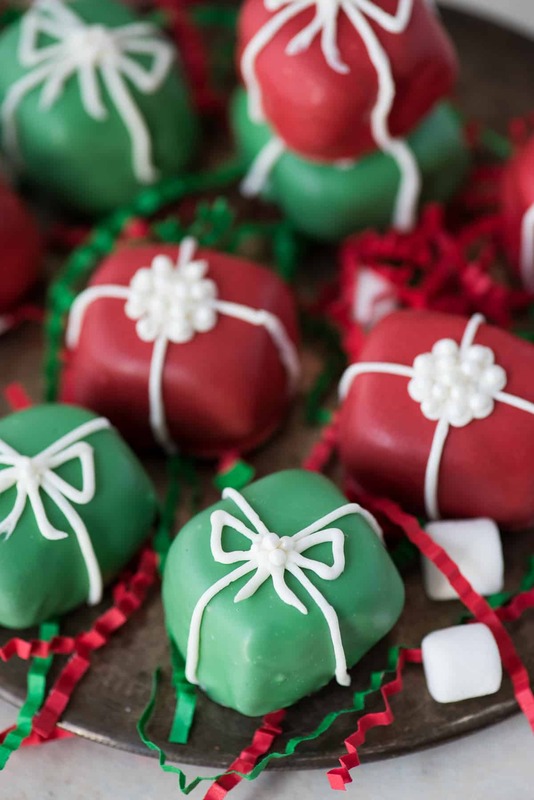 I dipped my present oreo balls in red and green candy melts because I wanted to stick with classic christmas colors, but you could get really creative. I think it would be cool to add edible sparkles to the candy melts to give the presents some shine, or you could always adding sanding sugar to the presents after you dip them. Now for the fun part – the bows! 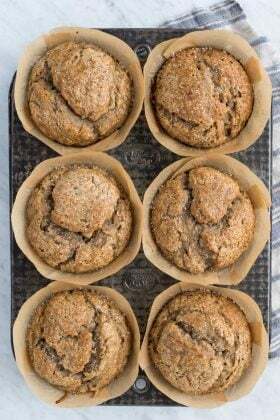 You can make them however you want! I show you 2 different ideas in this post but you can add variety by using different colors of buttercream, sprinkles, etc. 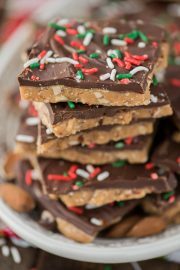 These are the perfect treat to add to your holiday cookie plate! 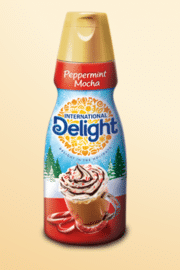 Show one of our favorite brands some love – follow International Delight on facebook, instagram or via newsletter. Allow the cream cheese to come to room temperature. Put half of the oreos in a blender and pulse until you have oreo crumbs. Add the other half of the oreos to the blender and pulse again, until all the oreos are fine crumbs. Transfer to a mixing bowl. Add the cream cheese and International Delight creamer to the mixing bowl, and blended using an electric mixer. Line a baking sheet with a silicone baking mat. Use a small cookie scoop to portion out an oreo ball, then use your hands to form it into a square. Place the oreo balls on the lined baking sheet. Refrigerate the oreo balls for 20 minutes. After 20 minutes, begin to melt the color candy melts (with a little bit of vegetable shortening/oil - about 2 tsp) in a small pot over low heat on the stove. Stir occasionally until it's completed melted. Remove the oreo balls from the fridge. To dip, place 1 oreo balls in the pot with melted chocolate. Use a spoon to spoon chocolate on top, if needed. To remove the oreo ball, use a fork to lift it out of the chocolate. To remove excess chocolate from the oreo ball on the fork, scrape the bottom of the fork on the edge of the pot to remove chocolate, then put the oreo ball back on the silicone baking mat. Continue this process until all the oreo balls are dipped. 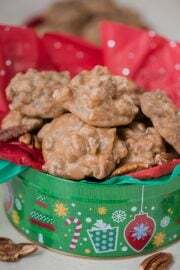 Allow them to harden at room temperature before adding the bows. Meanwhile, make the buttercream. In a small mixing bowl, beat the butter until smooth. Add in the powdered sugar, beat until combined. Transfer the buttercream to a piping bag fit with a small round piping tip. Pipe the bows onto the oreo balls, adding one line going across the ball then adding another line going the other direction. Pipe the bow on top - I did 2 variations - a triangle bow and a fluffy round bow. I then added round pearl candies to the bows. 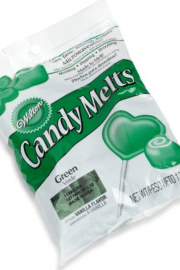 Where to find candy melts? 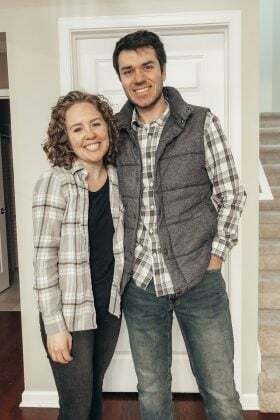 Any alernative? 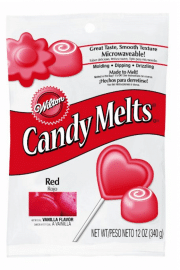 Michaels carries lots of Wilton candy melts! Do the finished balls need to be refrigerated, or is it safe to put them on cookie trays that will be sitting out? I think it’s okay to have them sitting out when needed – but refrigerate before you’re ready to put them out! Since the crushed oreos are mixed with cream cheese and creamer, would they have to stay refrigerated? I want to include these in gift boxes of cookies to give as gifts, but they would be kept at room temperature for a few days.. I don’t want the recipients to get sick! Oreo balls are tricky because of that. I know some people wouldn’t think twice about keeping them out, but I do prepare to refrigerate mine or eat them all in one day! !